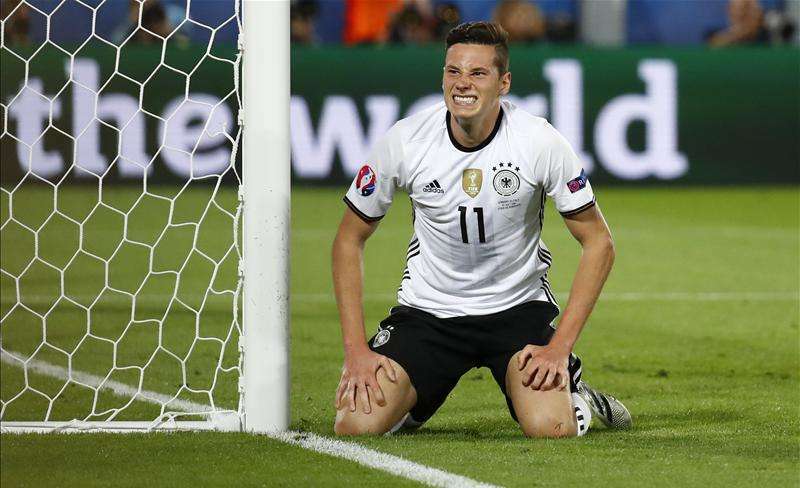 Reports according to the Evening Standard has it that Arsenal are weighing a move for Wolfsburg's key man Julian Draxler. The source claims that the World Cup winner has handed in a transfer request to his employers after being left out of the team that faced Bayern Munich. This has alerted Arsenal and the North-London outfit are preparing to launch a £30m bid ahead of the winter transfer window in January. The highly talented star has been on Arsene Wenger's radar for years but there had been obstacles on his way while trying to get him on various occasions. Draxler's influence on the German national side and his club has attracted a host of European clubs among which Arsenal is one of them. Delays in contract talks with Mesut Ozil and Alexis Sanchezz is believed to be the reason Arsenal are lookmg for possible replacements.